I came across this and listened to these guys podcast, which they recorded while on a Grampian 26 with the couple who owns it.. Nothing spectacular, but worth a mention. The following info copy and pasted from their page, link to the podcast below.. 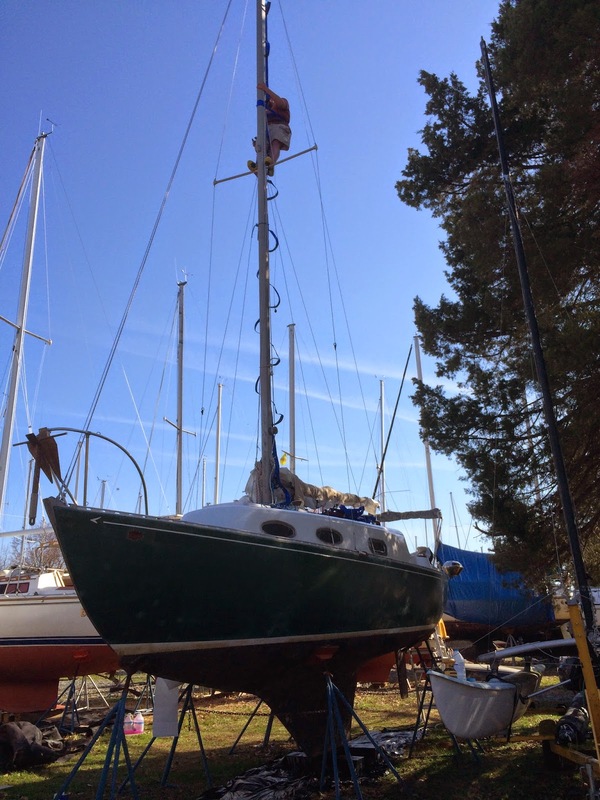 Welcome to Episode 9 of the Shooting The Breeze Sailing Podcast where we chat with Matt and Carrie aboard their Grampian 26 which they fully restored over the past couple of years. Mr. Smoker and myself spend a morning floating outside of Lloyds Creek on the Chesapeake Bay, shooting the breeze with friends whose adventures are harrowing and funny, and a cautionary tale for sailors everywhere. I found that any boat below 25 feet would generally be a 'daysailor'. Pocket cruisers start at 25 feet. It was because of this that I stopped looking at boats less than 25 feet. In general, a daysailor is a big dinghy with a cabin. They are fine for sailing on a small lake and in good weather, but you wouldn't want to go on long cruises on the great lakes with them. They have a very basic interior (no inboard, no plumbing, minimal electrical, etc.) and light rigging. Pocket cruisers are designed for longer cruises and heavy weather and can handle the Great Lakes no problem. Good ones can even be rigged for coastal ocean cruising (I wouldn't cross an ocean in one though - although its been done many times). They often have an outboard engine, but you can easily find ones with an inboard. Also, they will have a head and kitchen plumbing, and usually an icebox (no fridge). The interior will have lights and outlets and comfy cushions, etc. You could essentially live aboard these (if you don't mind tight spaces). Some good pocket cruisers that I looked at (and can be found in our area) are: Bayfield 25, Bristol 26, C&C 25, CS 27, Grampian 26, HR25, Morgan 27, S2 8.0B, and Tartan 27. But for your price range, you'll probably get the best boat for the money looking at the Grampian 26 or the Bayfield 25. Here is a good looking Grampian for sale. Note it has an outboard motor. ps. I did all my boat searching through kijiji too. You'll see alot more boats pop up on kijiji when the sailing season returns. Also, look at boats listed well above your price range and then offer something within your price range for it. You might get lucky and get a great boat for a great price! In the Eye of the Beholder..
Grampian 26 Resources, Reviews, Videos, and other Links..